Runnin’ in the 50’s at 50! You may know I turned the big 5-0 back in Feb, so I want to challenge the aging process with some track&field efforts. Placer High School just installed a brand new track, which I broke in today with a 400-meter effort in 59.8 seconds. 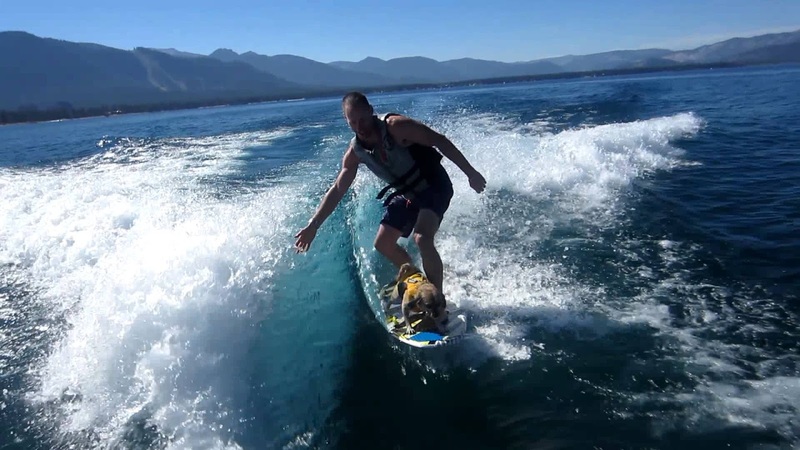 Not an easy effort to do solo, although my dog Stu was there to trip and faceplant me at the finish line. 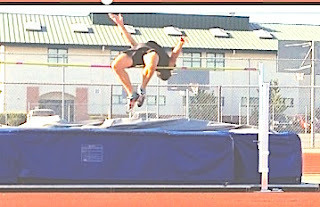 This YouTube is from 400m attempt #2, trying to improve my time, but landing at 60.18 instead -ouch! Back in March, I cleared 5’3″ (1.60 meters) in the high jump, qualifying for USA Masters Track&Field All-American standard and (unofficially, not from a meet) matching a tie for 12th on this year’s outdoor list. Here is a 5’2″ clearance from March on video. Here are the 2015 USA National outdoor rankings for old guys. Next up for me is the World Speedgolf Championships in Chicago, Oct 19-20. I am looking to improve upon my 20th place finish in the pro division last year in Oregon. I am inspired by other longtime friends who are still performing magnificent athletic feats. 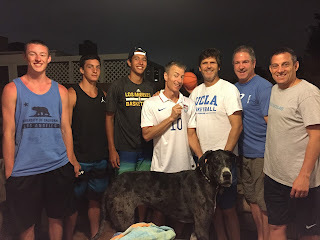 Here some of them (at right in photo) are pictured after an epic pool basketball battle versus three high school varsity superstar athletes (at left in photo) from Northern California. The old guys pictured are also preparing for the annual Extreme Sports Camp, a weekend battle royale in 11 different sports to crown the best jewish or goyim athletes in west Los Angeles over age 40. Hopefully those of you in the advancing age groups are starting to think more and more about delaying the aging process and reducing disease risk factors that have become all too common in modern society. Check out this post, Brad’s Primal Style Anti-Aging Tips, for an overview of the primal philosophy and a detailed discussion of my diet, exercise and lifestyle routines. Easily would have broken 60 in the 400 meter 2nd attempt if that old dude did not get in your way.